Holly Golightly had breakfast at Tiffany’s; I had lunch. 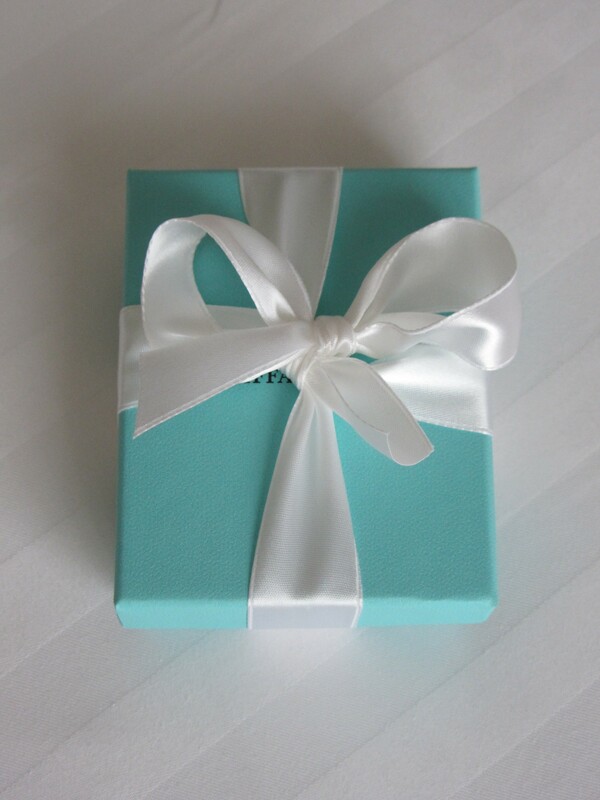 While wandering through Galeries Lafayette the other day, and munching on un pain au chocolat, I stumbled upon a Tiffany and Co. store. 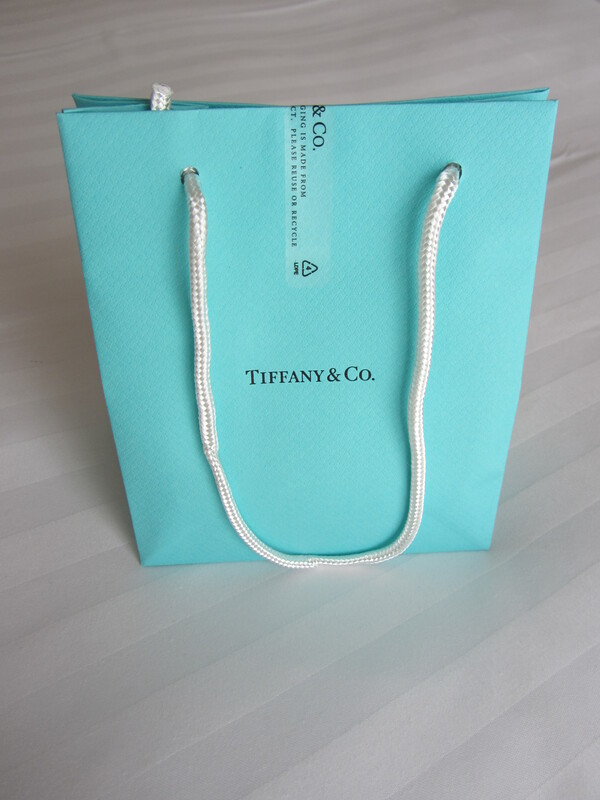 I have always wanted one of these little robin egg blue Tiffany bags, but was convinced that nothing in Tiffany’s would be anywhere near my price range. Not so. There really is a wide variety of selection; it’s not all platinum and rare gems. 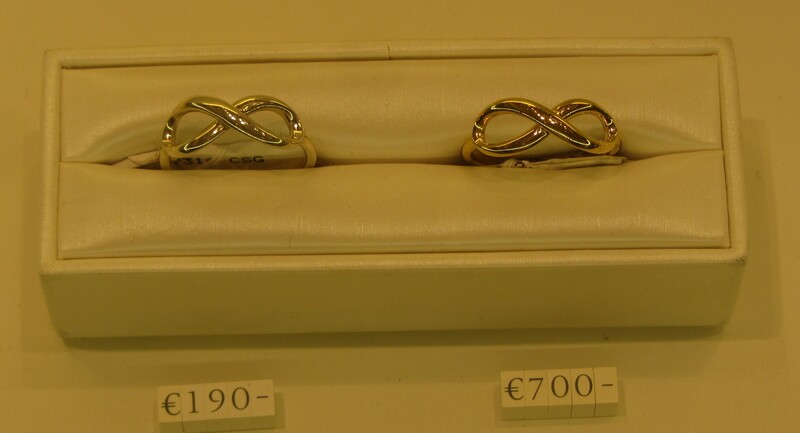 But, of course, there are still the astoundingly priced items that are fun to look at, like the €250000 engagement ring, Some people buy a ring; others buy a house. Ha, talk about perspective. Out of all the platinum and shades of gold, I spotted this little Sterling silver infinity ring (on the left), and instantly fell in love with it. I had been eyeing some of the pieces in the infinity collection online, as an advertisement for them had popped up in an internet browser a few weeks back (fate? ), but I never thought any of them would be “affordable.” I say that in quotation marks because €190 is still a lot of money, but it makes for a lovely addition to my jewelry case, and a timeless souvenir of my trip to Paris. And it comes in such an adorable little box!!! What is your favourite souvenir from a trip you have taken?? ?